Emmy’s not new in the sleuthing game. She figured out who was behind the murders that almost ruined her family, she was able to help out a ghost who needed to figure out who killed her, and she thought that the dark days are over…but now, it feels like they’re starting all over again. After being invited to a dinner party at the Byrne's house because of a new business deal that Emmy's dad ventured in, Emmy and Daniel, alongside the rest of the guests were surprised to find Wendy, Emmy and Dan's cat, jumping on one of the guests: A man named Caleb Roberts--Troy Byrne's new business partner. Is Wendy just being catty? Or is there anything else--something graver, crazier--that Emmy should know, especially because that same night, Caleb's wife, Rose, was found dead? Seems like there's a killer on the loose--and it's up to Emmy and Wendy to figure out the truth. 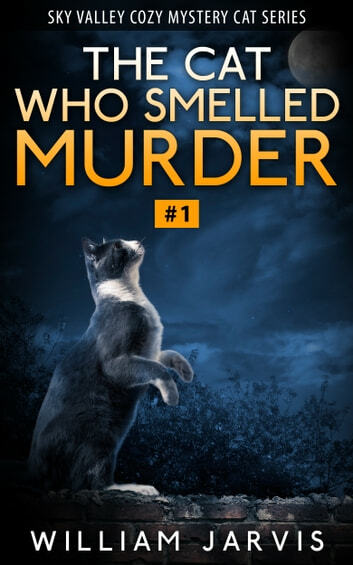 Read how it all goes in The Sky Valley Cozy Mystery Cat Series Book 1: The Cat Who Smelled Murder Out now! A ridiculous book with no clear story line. Interrupted by unwanted facts on cats and their behaviours!! At first I thought this book was written by a child/teenager until I got to the end and found out that William Jarvis has written other books too!! Unbelievable. Grammar was sporadic and the syntax was all-over-the-place. I will definitely not be purchasing any more books by this guy. 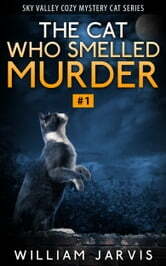 An easy read didn't like all the cat references made during the story to prop up Wendy's character. Happy to read the next book, just hope Wendy is more powerful.